For maximum flow in a miniature solenoid valve the D Series valves deliver a wide range of CV values and maximum operating pressures. 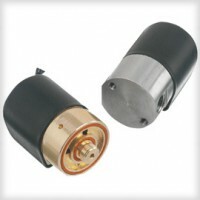 The D Series is also available in multiple body materials, seal materials, coil constructions, voltages, and wattages. Proven to perform for millions of cycles without failure, the D valve– as with the entire valve series– is ideal for manifold configurations, sub-assemblies, and complete fluidic systems. The D Series is the largest in a progression–A Series, B Series, and C Series– of the highly flexible, modular design, (general purpose) valves.